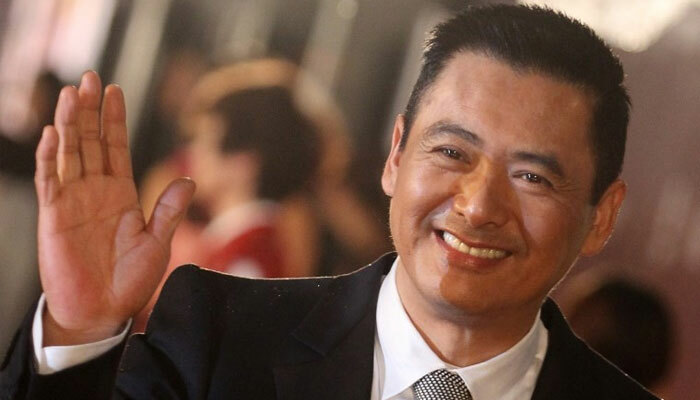 "Crouching Tiger, Hidden Dragon" star Chow Yun-fat may be a heavyweight from the golden era of Hong Kong cinema but the famously frugal actor has vowed to donate his vast wealth to charity after he dies. Also known to western audiences for films such as the Oscar-winning "Pirates of the Caribbean" and gangster classic "A Better Tomorrow", Chow has endeared himself to fans in recent years with a modest lifestyle. Multimillionaire Chow, 63, joined Forbes´ list of highest paid actors in the world for the first time in 2015, sharing 24th place with Russell Crowe. Yet in Hong Kong -- a city with no shortage of flashy socialites and stars -- he can be spotted taking public transport and lining up for tickets to watch his own movie. Now he has pledged to give away his entire fortune, reportedly HK$5.6 billion (US$715 million). "This money isn´t something you possess forever. When you´re gone one day, you have to leave it to others to use it," he told South Korea´s Munhwa Broadcasting Corporation in an interview aired last week. "You can´t bring the money in your bank account with you after you die," he said, adding his wife "strongly supports" his decision. Hong Kong´s wealth gap was at its widest last year for nearly half a century, fuelling discontent as the former British colony marked two decades under Chinese rule. Sky-high prices and the cost of living outstrip many ordinary residents´ salaries, with apartments becoming increasingly cramped and generations of families forced to share. Meanwhile, the city´s mega-rich continue their display of extreme wealth and pursuit of status symbols. Chow, affectionately nicknamed "Brother Fat" in Hong Kong, has won praise for taking an opposite tack. Local media give wildly varied estimates of his wealth but say he is worth hundreds of millions of dollars. Chow has said he has no idea how much he is worth. His wife Jasmine Tan has previously described how her husband often eats at street stalls and only gave up his beloved Nokia flip-phone when it died after years of use. Dozens of billionaire business figures have signed up to "The Giving Pledge" started by Bill Gates and Warren Buffet encouraging the world´s wealthiest to donate their fortunes. But Hollywood and Asian acting stars are noticeably absent from the list. In his interview with MBC Chow, a native of Lamma Island which was once a traditional fishing village, also discussed the joys of a simple meal -- a favourite is savoury Chinese turnips accompanied with rice. "I am happy if there´s food to eat, because we were quite poor then. I´ll be very happy eating sweet potatoes and vegetables, and even happier if I have chicken and meat during the new year," he said.